With an unprecedented adult height of only 54,6 cm a Nepali man has been recognized as the shortest man in recorded history. Despite his relatively old age of 72 years Chandra Bahadur Dangi never made it into the Guinness World Records list because he’s from a remote mountain village. Considering this, perhaps The Incredible Shrinking Man of 50 cm is already out there, unaware of his or her potential as a role model for the future human race. Here’s a top 10 of the smallest people recorded in history according to Guinness World Records. 1. Chandra Bahadur Dangi 54,6 cm, 12 kg. 2. Gul Mohammed 57 cm, 17 kg. 3. Pauline Musters 58 cm, 5 kg. 4. Junrey Balawing 59,9 cm, 5 kg. 5. Jyoti Amge 63,8 cm, 6 kg. 7. 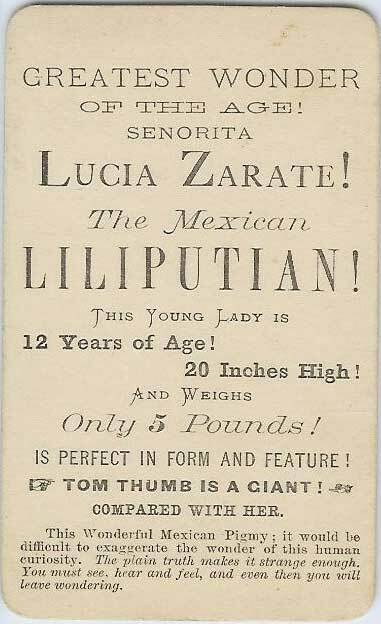 Lucia Zarate 67 cm, 4 kg. 9. Edward Nino Hernandez 69 cm, 10 kg. 10. He Pingping 72 cm, 7 kg.